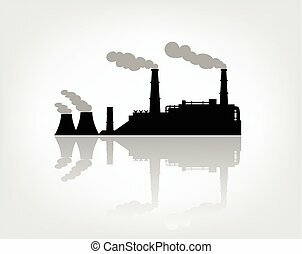 Factory silhouette. 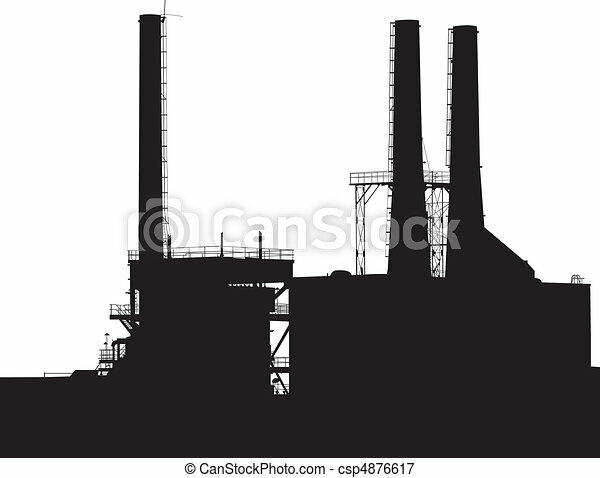 Factory with smokestacks silhouette. 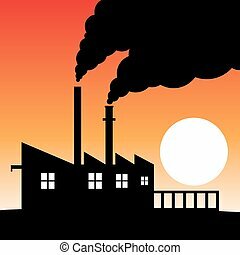 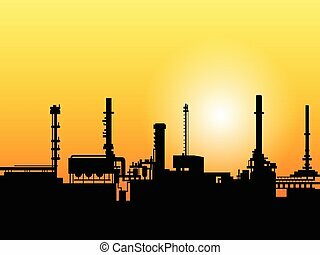 Silhouette of a factory producing air pollution in the sky during sunset.